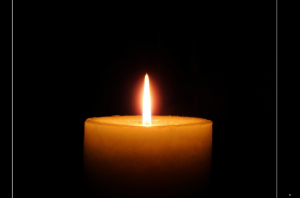 The Trustees and members of St. Brigids GAA Club wish to extend our deepest sympathies to the Kane family on the passing of Brendan Kane a former St Brigid's player. KANE, Brendan (Blanchardstown, Dublin 15) March 27th., 2019 (peacefully) after a short illness in the loving care of the staff at St. Francis Hospice, Blanchardstown. Beloved husband of Elizabeth (Liz) and dear father of Francis, Eileen and Daniel and a devoted grandfather of his six grandchildren; Sadly missed by his loving wife, sons, daughter, grandchildren, son-in-law, daughter-in-law, brothers-in-law, sisters-in-law, nieces, nephews, relatives and friends. Reposing at Cunningham’s Funeral Home, Church Avenue, Blanchardstown on Friday evening (March 29th) between 6 o’c and 8 o’c. Removal Saturday morning (March 30th) to St. Brigid’s Church, Blanchardstown arriving for Requiem Mass at 10 o’c followed by burial in Mulhuddart Cemetery. Family flowers only, please. Donations, if desired, to St. Francis Hospice, Blanchardstown.